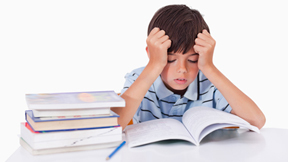 Almost 40 percent of children have difficulty learning to read. Early intervention, reading, and scaffolding will help, however most parents who notice the difficulty in their children wait over a year before getting the help they need. "Unfortunately, the older a child is, the more difficult it is to teach him or her to read. If a child can't read well by the end of third grade, odds are that he or she will never catch up. And the effects of falling behind and feeling like a failure can be devastating" (Reading Rockets, 2015).